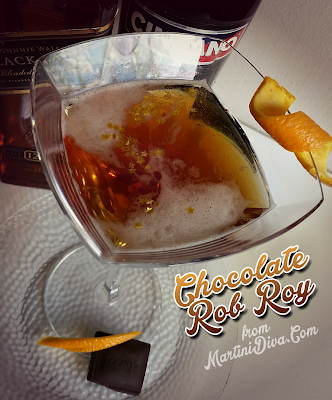 I was in the mood for some Scotch and some chocolate and I thought why not just make a Chocolate Rob Roy? 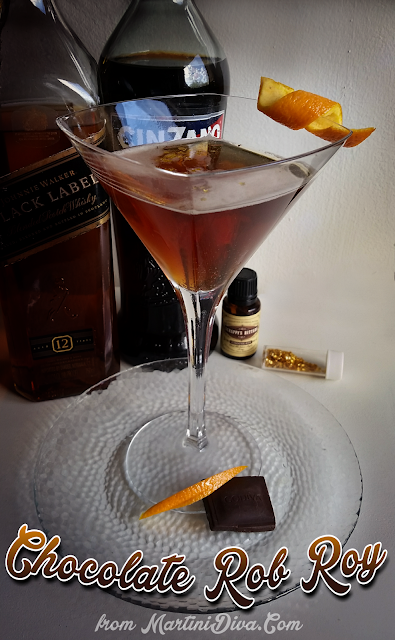 It didn't take much to turn a classic Rob Roy into a chocolate Rob Roy, just change out some chocolate bitters for the Angostura bitters. Yes, I gave myself some little gold stars as a garnish because I earned them today. I added a little piece of some Godiva Blood Orange Dark Chocolate to enjoy with it and it ended my day with perfection. DIRECTIONS Combine ingredients in a mixing glass and fill with ice. Stir well then strain into a chilled cocktail glass. Twist a piece of orange peel over the drink then add as garnish.